Complexity is the common enemy of every IT leader. Ask any group of IT managers what is their biggest day-to-day challenge, and the answer you will most often receive points at the complexity of legacy infrastructure. 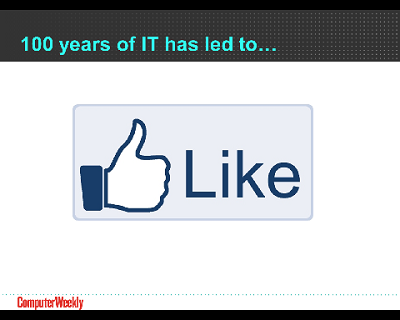 Are we experiencing the beginning of the end for IT complexity? Ask most CIOs what is their biggest headache, and they will tell you about the restrictions caused by the complexity of their legacy IT - inherited from their predecessor of course. Last night, President Obama hosted a dinner with the leaders of the US technology industry in California.